I can’t tell you how often I hear those words in my New York holistic medicine practice and from coaching clients across the country. Yes, pain and inflammation typically surface as the body naturally heals itself following accidents and falls. But sometimes, the pain doesn’t follow any clear trauma. Those sneaky pains are simply the result of going about daily modern life. Believe it or not, everyday habits can be responsible for quite a bit of discomfort. 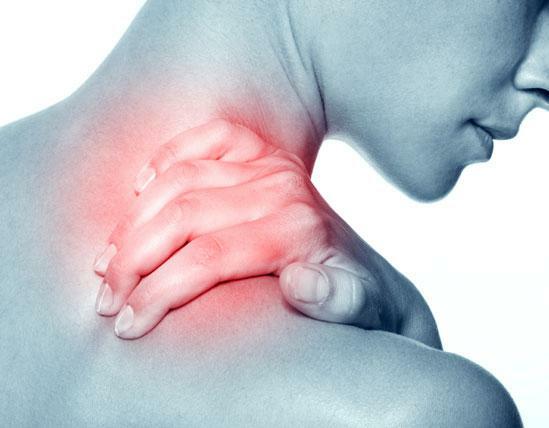 Chronic pain may be the body’s reaction to common repetitive actions that gradually, silently tax us over time. And when your body constantly reacts to injury, stress, and tension—internally or externally—the immune system responds in turn, launching an ever-increasing army of chemicals that fan the flames of inflammation and pain. If you’re on the computer regularly, you might experience right (or left) shoulder, elbow, and wrist pain. In fact, the same group of painful symptoms that used to be called “tennis elbow” (know anyone who has been on the courts lately? I didn’t think so) is now known as “mouse syndrome.” These pains come from repetitive use of the right (or left) hand directly and muscles running down that same side to the hand. Add to that. the typical habit of sitting hunched while at the computer, and your body will become stiff, unhealthy, and out-of-shape quickly. Take hourly breaks from computer work to exercise your arms and hands. Switch to a wireless mouse. Find ways to move—go to the printer, stand for your calls, get some water, skip the email and hand-deliver your message across the office, take the stairs, and so on. As soon as you begin to move, your whole body will thank you with decreased pain. Finally, try acupuncture and massage to address both the pain and the stresses that may go along with it. With all the use they get in a day, feet need solid support. Flip flops, soft or loose flats, strappy sandals, or sky-high heels are unsupportive shoes that can contribute to ankle and knee pain. When you walk, your knee tracks at a certain angle. But if your foot is wobbling or distributing your weight unevenly, that instability travels up to the knee, causing tension and discomfort in the joint and surrounding tissues. Remember that beach shoes or slippers aren’t designed for walking on hard surfaces. If you know you’ll be walking (and that’s most work days, right? ), switch to a firmer shoe that keeps your ankle stable, like a sneaker, loafer, or other more closed shoe. And for day wear, replace your high heels with lower ones or even flats. Ahem… that would be my area of weakness. A huge tote bag travels with me on my shoulder or elbow wherever I travel. It grows progressively heavier as I go about my week until I finally decide to empty it and put back just the essentials. Even switching sides causes my low back, shoulders, neck, and arms to ache from the uneven weight. Computer bags, briefcases, any kind of carryall held by your side causes a continual downward pull—and that unnatural stretch is painful to the joints over time. Picture the way we habitually check our phones and email or text: You see heads down, necks forward and compressed, shoulders hunched over, eyes squinting, thumbs moving rapidly. Over time, that’s quite a recipe for pain! Cutting down the email and texting would be the obvious fix. However, for most of us, that’s very difficult. The next best thing? Bring the phone higher, closer to your head, instead of forcing your head and neck down to the phone. That way you stay upright and better aligned. There has definitely been a change in theories of exercise physiology. Stretching before exercise used to be the time-honored way to begin a workout. Now, however, research has shown that stretching cold muscles before exercising can cause pain and discomfort. But the opposite extreme doesn’t work, either. Skipping exercise altogether, and then intensely starting again, can certainly cause pain. Of course having a regular exercise routine is the best bet for health and comfort. So warm up by simply performing a lighter, slower version of the exercise you’re planning—for example, walk quickly before you jog. Stretching is still important—just save it for after you’ve completed your workout when your muscles are warm. Cortisol, the fight-or-flight hormone released in the presence of stress, can cause unpleasant constriction, tension, and inflammation throughout the body. It’s no wonder that everyday stress at home and work fuels the fire of achiness and pain until your whole body, and especially your neck and back, are constantly tense from the weight of stress. As I’ve often mentioned, awareness should be your first, most important step in dealing with the stress in your life. Talking to a friend or mentor can help you gain perspective on the issues that create stress for you. Other time-tested, reliable means of addressing stress include journaling, exercise, and meditation. Confusion abounds about what, when, and how much to eat. It’s possible you could be eating more than you need, not to mention consuming a lot of sugar, without realizing it. Sugars are often hidden in food labels, making them difficult to identify. Plus, many of us are hooked on processed foods—soda, cakes, many kinds of cereals, cookies, and the list goes on—that fuel the inflammatory process. Those ingredients and the extra weight they create, coupled with a lack of restorative sleep, spells p-a-i-n that can develop from the smallest ache. If you’re like most of us, at least one of the causes above may be contributing to your pain. Isn’t it time to put the pain/fire out? A few small but important changes may be what it takes to do just that. I’m here to help! Give me a call at 212-686-0939. Together, we’ll identify and—better yet—snuff out those sparks that ignite your discomfort. Thanks, Roberta, for solid, practical tips that we can apply in everyday life!